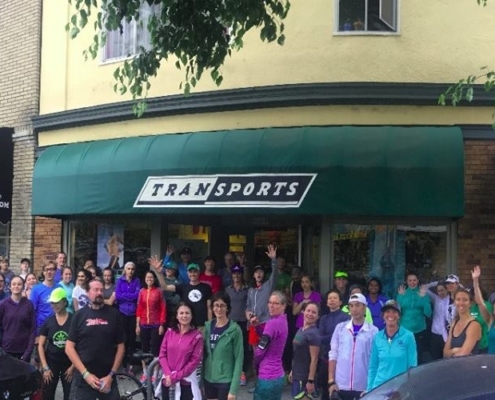 Transports hosts trail runs on Wednesdays through our Spring and Summer months. We also routinely host Pub Runs which starts from our store on College Ave. We’ll be hosting special events throughout the year as well. Please check the Calendar page for events coming up! 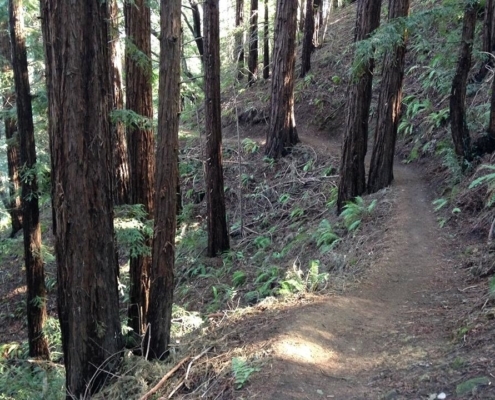 Join us for our weekly trail runs! Runs usually start at 6:30 pm at various local trails. Distance varies and it is usually around 3-6 miles with the option to cut/add as you see fit. All levels are welcome! Trail runs are in full swing for Spring/Summer 219. Click to check out our calendar for information regarding our upcoming runs. 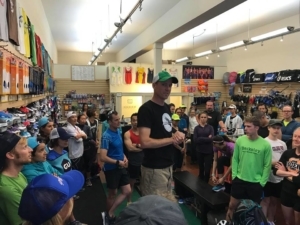 Our Pub Runs start at our College store and takes a 3-5 mile route through the streets of Rockridge. Then it’s off to one of the local pubs by our store for a pint or two. We earned it! Please check and like our facebook page and our calendar for information regarding our next Pub Run! Keep an eye out on our calendar or follow us on Facebook or Instagram for fun future events like Yoga and more! Ready. Set. Go! Looking for a race around the area? Check out the great races we partner with here http://www.transportsrunswim.com/community/#races. 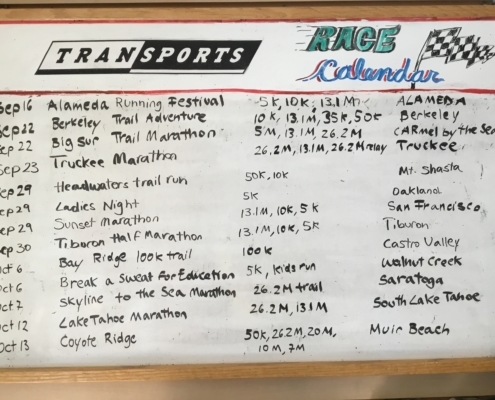 For a more comprehensive list, check out the race calendar board (in front of the treadmill at our College store) or the Calendar of Events page.